Eric Eckl would love to be known as Virginia's answer to the hard-bitten Texas troubadors, such as Steve Earle and Robert Earl Keene, but to his embarrassment, draws more comparison to the late John Denver. "I hear it all the time," he sighs. "I guess it's the moppy blond hair and glasses." Like Denver, Eckl is inspired by mountains looming against the horizon, and celebrates nature, romance, and good companions as the finest things in life. But like his Texas heroes, he doesn't shy away from the dark secrets that sometimes lurk among the scenery. A storyteller at heart, Eckl fills his songs with a cast of characters collected from his life as a insatiable traveler -- lovers gloating as the world collapses around them, fishermen confronting empty nets, smugglers celebrating life on their own terms, and nameless drivers torn by guilty indecision. Based in the Washington metro area, Eckl now plays about 30 gigs a year on a circuit of cafes and bars from Harrisonburg to Baltimore. 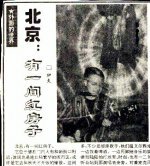 A six song cassette is available from his website and at his shows. He is an active supporter of the DC area music scene and serves as current president of the Songwriters Association of Washington. "Sad news, sad news, in Old Freddytown. Our state song submission’s been cruelly shot down...."
So begins a recent e-mail from Barry Fitzgerald. But fear not. Barry is not the type to give up penning his "ditties" with the densely packed poetry that is almost photographic. In Mary, the Elephant, for example, he notes a possible "locomotive-pachyderm crash" when the "first-rate creature in a second-rate show" must be killed for going wild during the circus parade into Erwin, Tennessee. "All the boys shot craps that winter rollin’ genuine, elegant.... elephant-ivory dice", is his ending "based upon the actual event" in 1913. This sacred trust of land. Born in St. Louis, Missouri, Barry and his wife Ruth settled in Fredericksburg shortly after a Peace Corps stint in the Philippines, and shortly before daughter Becca (now with publisher Oxmoor House in Alabama) was born. He has sung in Irish pubs (in Ireland!) as well at clubs in Harvard Square and San Francisco. As a longtime volunteer for the concert series, taping monthly flyers in downtown store windows, Barry gets to occasionally sing "at home" on the upper level of Pickers Supply. Singer/Songwriter Steven Gellman writes from the heart, with rare honesty and haunting melodies. His music has broad appeal. From pre-school aged children to senior citizens, audiences find much to appreciate in his performances. The Music Monthly paper called him "a definite breath of fresh air in the field of folk rock" and observed that "Steven's pretty flowing ballads warmed the soul with the gentle heat of reminiscence". 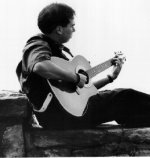 Steven began his career in contemporary Folk music in 1991 after playing electric guitar for years in Rock & Roll cover bands. He picked up an old acoustic guitar, began writing his own songs and formed the popular acoustic trio known as Diamond Rose. Now a solo artist, Steven has found his place in the music world. Whether performing alone with his guitar or with the support of several area musicians, "Steven always captivates an audience with his warmth, personality, homespun tales and dynamic voice." He has performed at popular acoustic music venues both in the Washington, DC area, as well as up and down the East Coast, including THE BIRCHMERE, in Alexandria, VA, at DC's famed National Theater and the White House lawn. Steven performs several shows each week, receives radio airplay and has had several cable TV appearances. Steven's first recording, Time(To Open My Heart) was released in October, 1995. His new release, entitled Photobook, was released in October, 1997. Described as "picture perfect", it has generated immediate interest. In addition, Steven is actively involved with senior citizens, performing many concerts each week for them and running the The World Folk Music Association's Elderfolk program. Described as a "performer who cares", Steven Gellman sings as he lives ... from the heart. For Clay Mottley, music has always been a part of his vernacular. 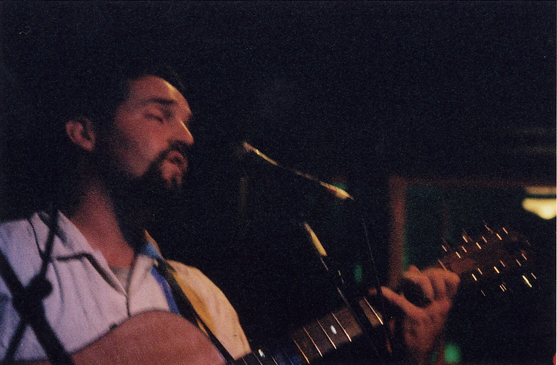 Clay has always been one to sing, and once the guitar made its way to his hands, he never let it go. Now, as a young, rising local musician, Clay Mottley has been able to combine his love for music, his ability to sing, and his gift for writing strong lyrics to beautiful melodies. Growing up with the early acoustic albums of James Taylor and Van Morrison, Clay has created a style very much in favor of the true folk sound. While not denying the listener something new and refreshing, he is able to keep the honesty of acoustic folk and blend it with the energy of modem rock. With songs that stretch from the old jazz standards to modern folk to pure rock and roll, Clay has proven to many that he is a solid songwriter with much to add to the music world. His songs have been described as "a good blend of lyric and melody." Other area musicians have even muttered the phrase "ear-candy" to show how catchy his songs can be. Clay gives much of his songwriting credit to local artist Pete Mealy. 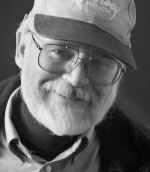 "Pete taught me the value of rewriting and not becoming content with whatever goes on the page. He didn't make my songs better; he showed me how I could make them better." Since then, Clay has been able to write lyrics that need a song, instead of songs that need lyrics. Though only a guitarist for 11 years, Clay has the musical knowledge to include more complicated chord structures in his songs to bring out a flavor not usually heard in modern folk/pop. Instead of hammering out scales, guitar rifts and lead patterns, he learned to play guitar in more of a rhythmic-based approach that incorporated melody within the chord instead of melody over the chord; a technique that proves itself useful in solo singer/songwriter situations. Clay Mottley has been influenced by many artists, both local and worldly, and has come up with his own approach to singing and songwriting. With melodies you will catch yourself humming, his songs are original as well as familiar. The Internet demands that our judgments about content be affected less by appearance than by our ability to evaluate and verify what we see. - Paul Glister.